Beautiful 4 bedroom, 2.5 bath Lake front Magnolia home with all the upgrades and is a definite must see. Complete with granite countertops. central vac, all stainless appliances, over sized screened lanai on the lake! Built in desk upstairs in bonus loft and built in entertainment center complete with sound and all the equipment. Huge walk in closet in the master with en suite gives you open space that you are searching for. 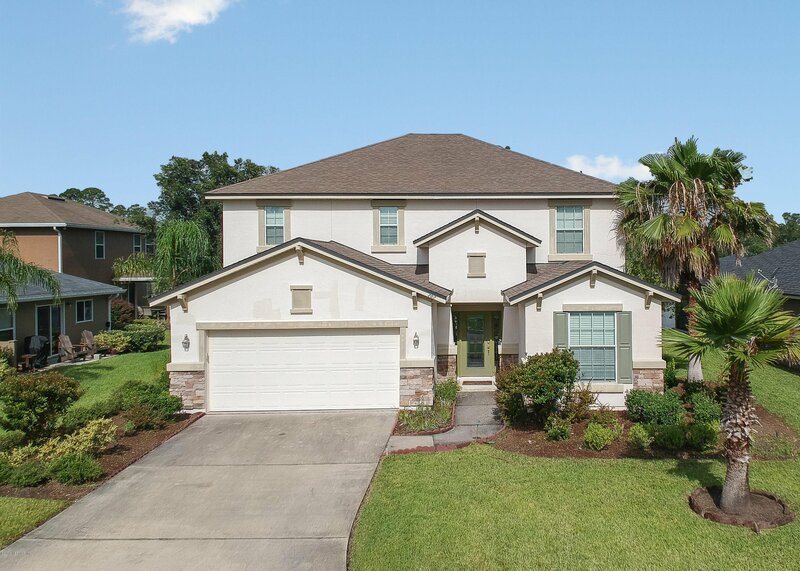 Listing courtesy of CENTURY 21 ST AUGUSTINE PROPERTIES. Selling Office: MATANZAS PROPERTIES.